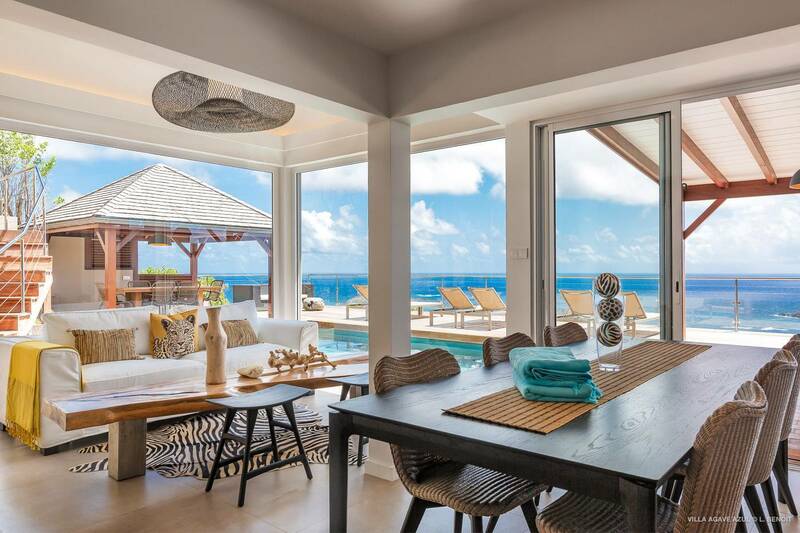 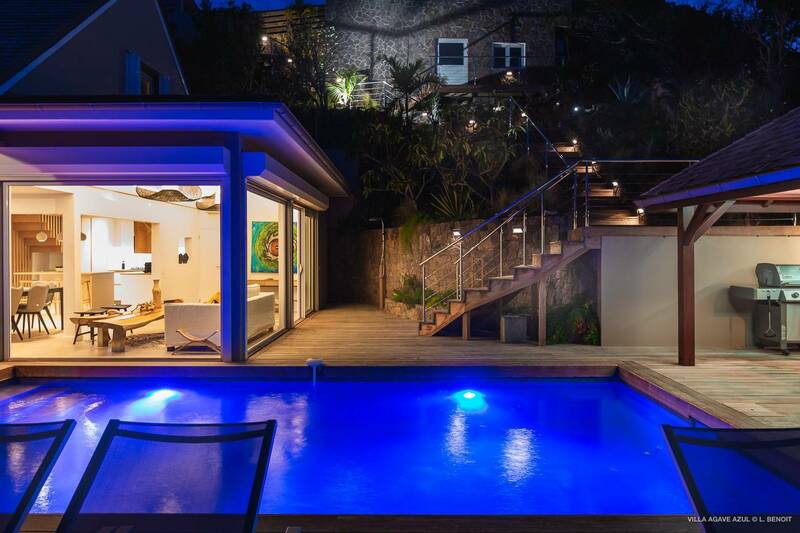 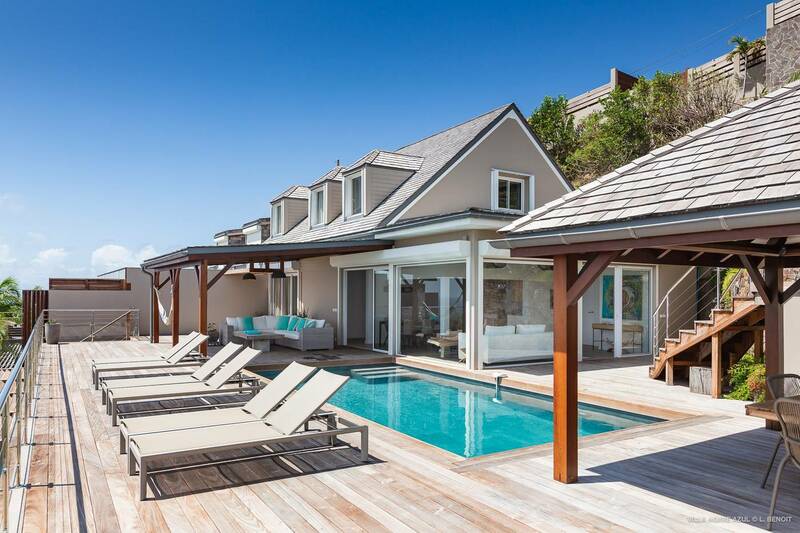 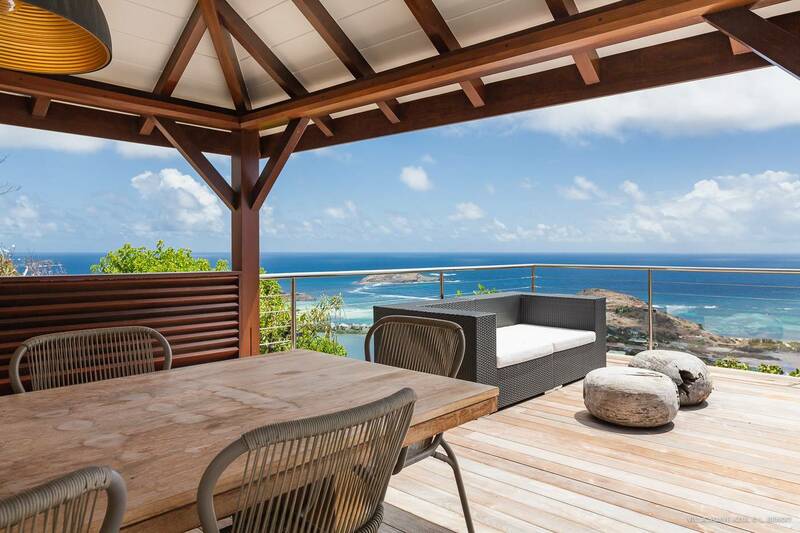 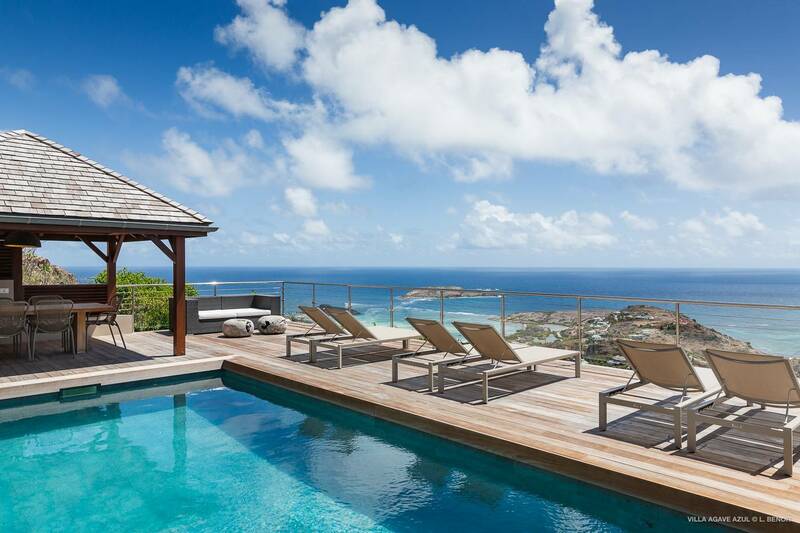 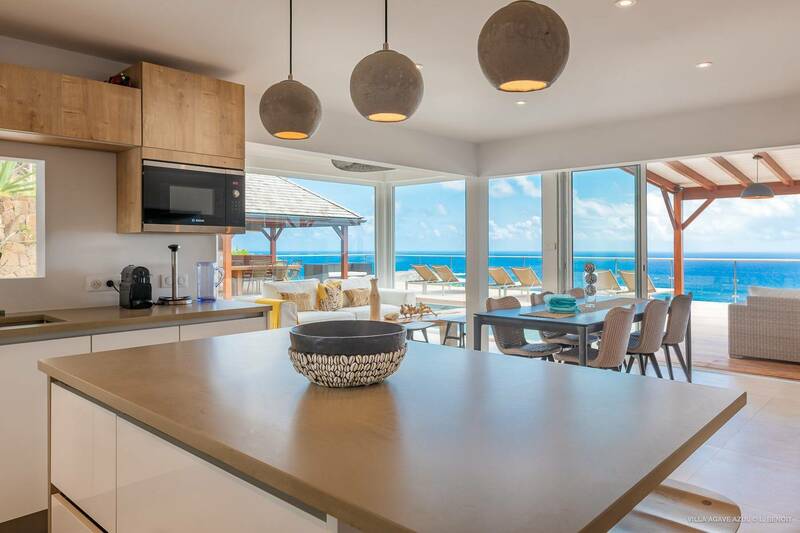 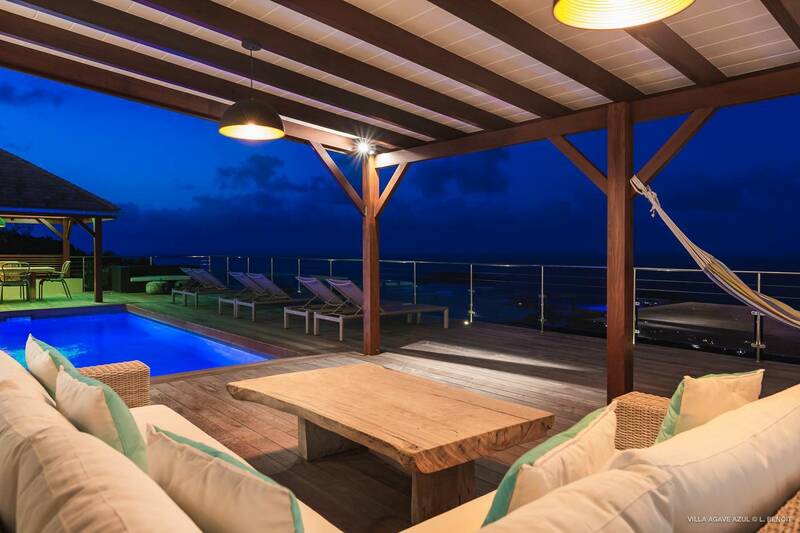 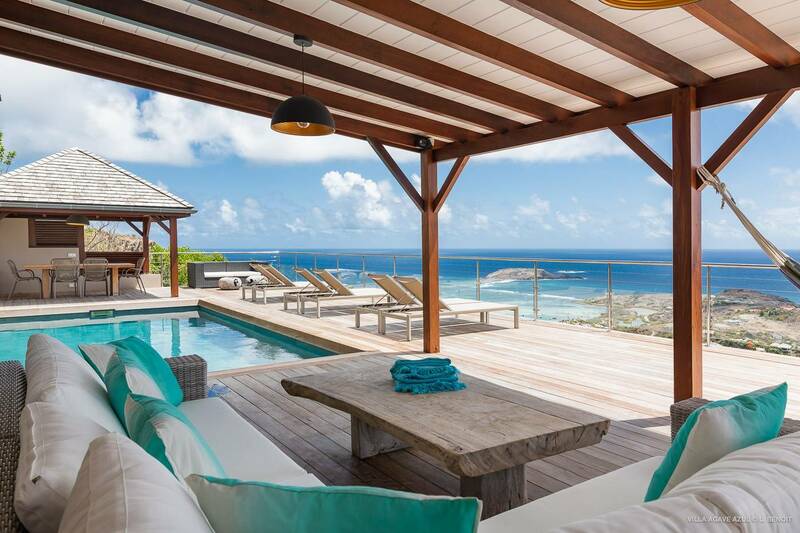 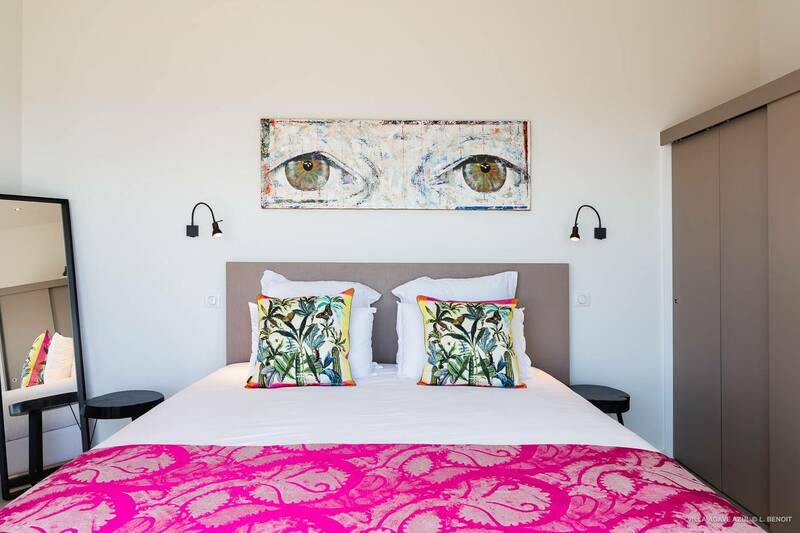 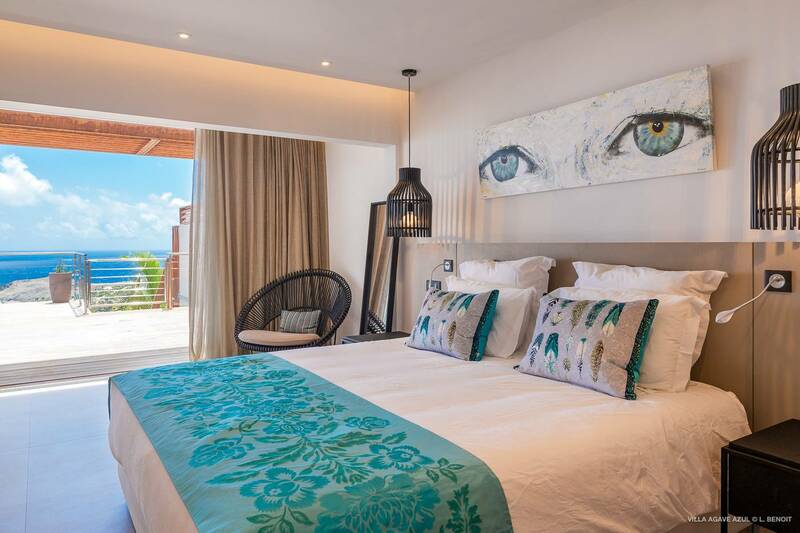 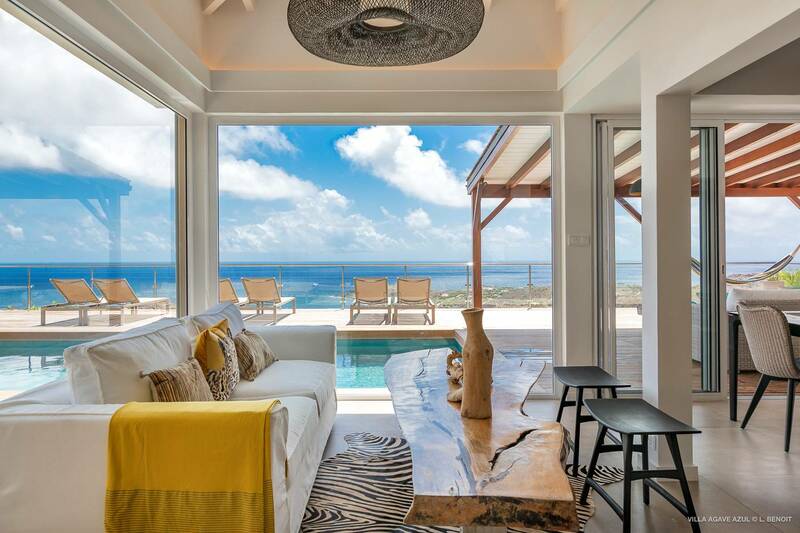 Dream About: Vacationing on St. Barth in a perfect-for-a-family villa. 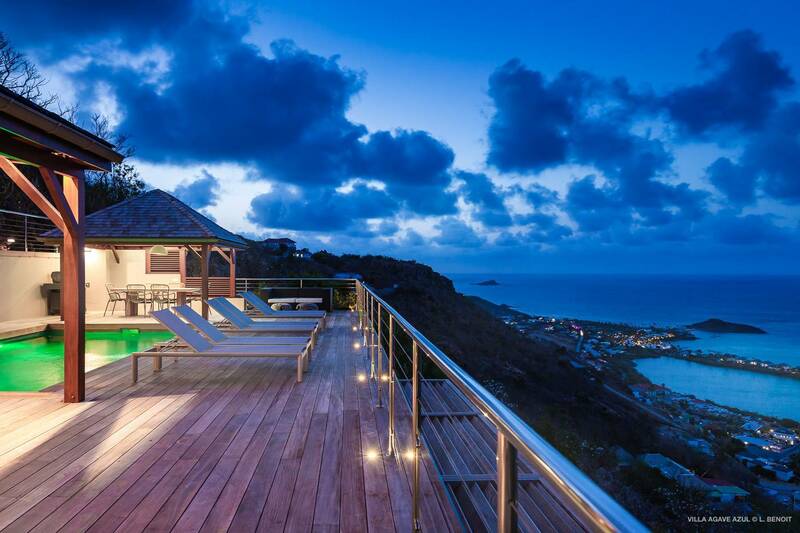 Memories for a lifetime. 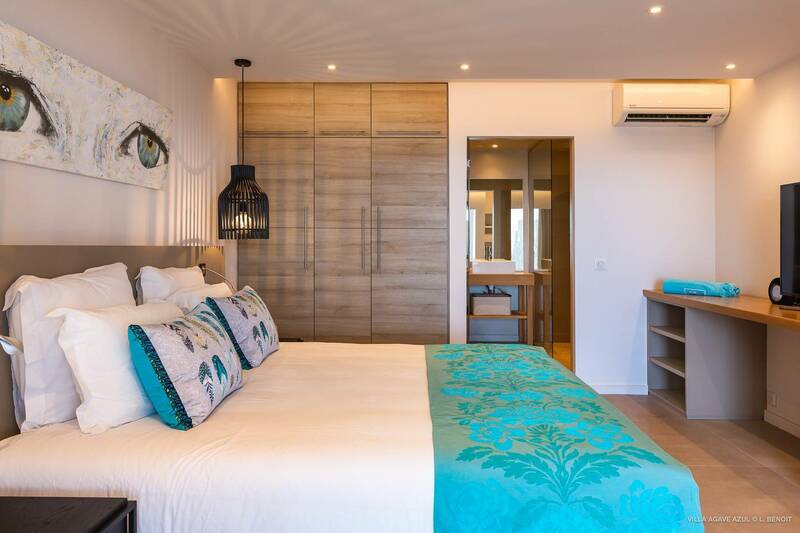 The 3 bedroom Agave Azul boasts a panorama of Grand Cul de Sac and a sprawling deck that encompasses a lovely pool and outdoor living spaces from which to enjoy it. 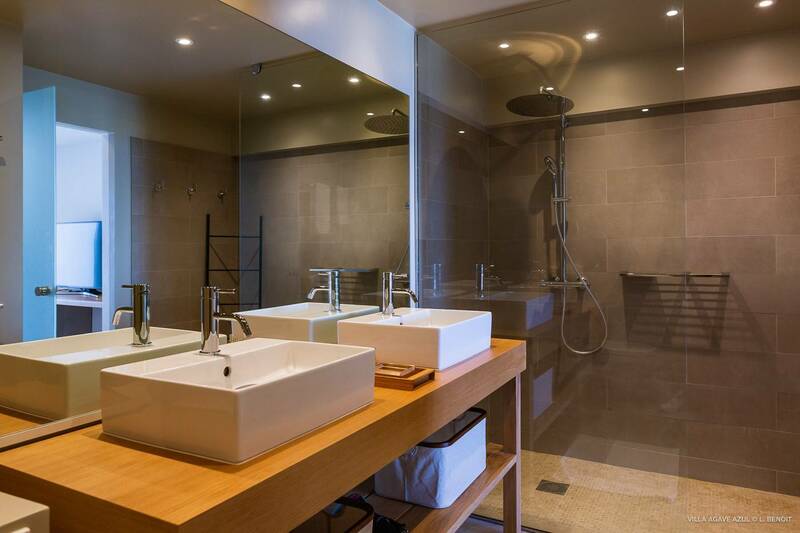 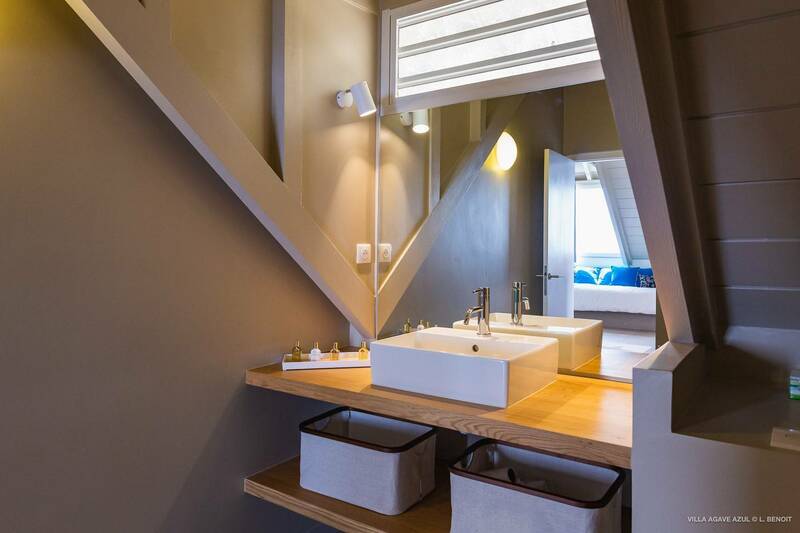 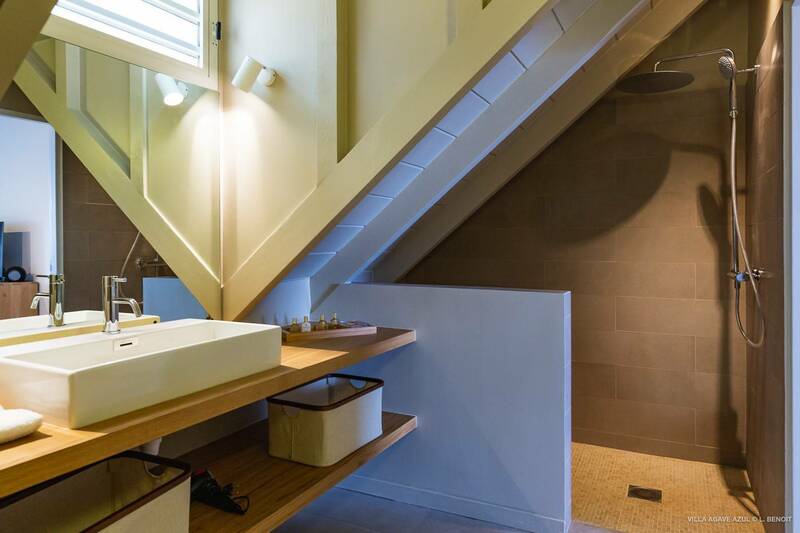 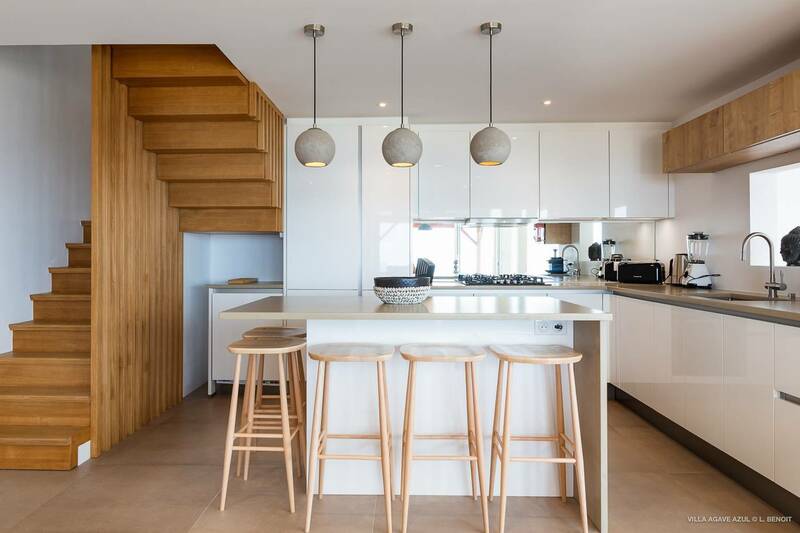 A flight of stairs (40 steps) leads down from the parking area to the main level which includes a compact well-appointed kitchen with a bar and stools, an attractive living room and dining area and a master bedroom (king) with an en suite bath. 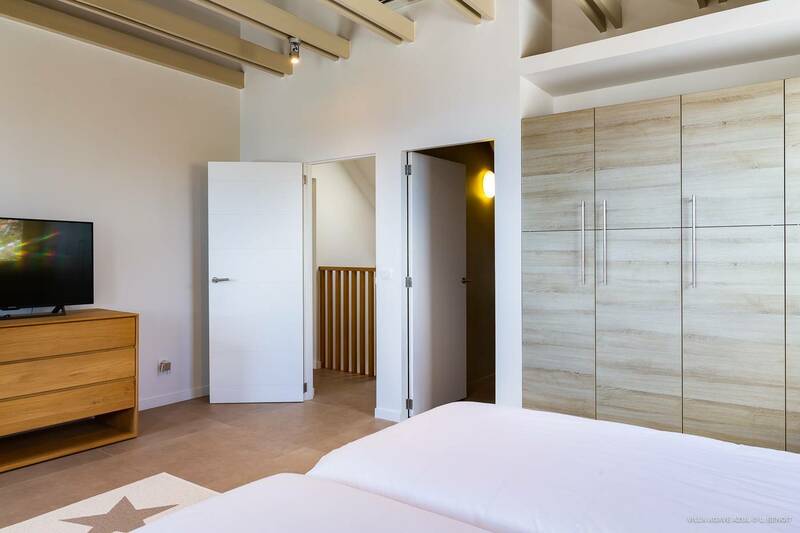 The 2nd level with its adjacent bedrooms includes a 2nd master (king) with en suite bath and a "kids-room" (also en suite) with 2 single beds. 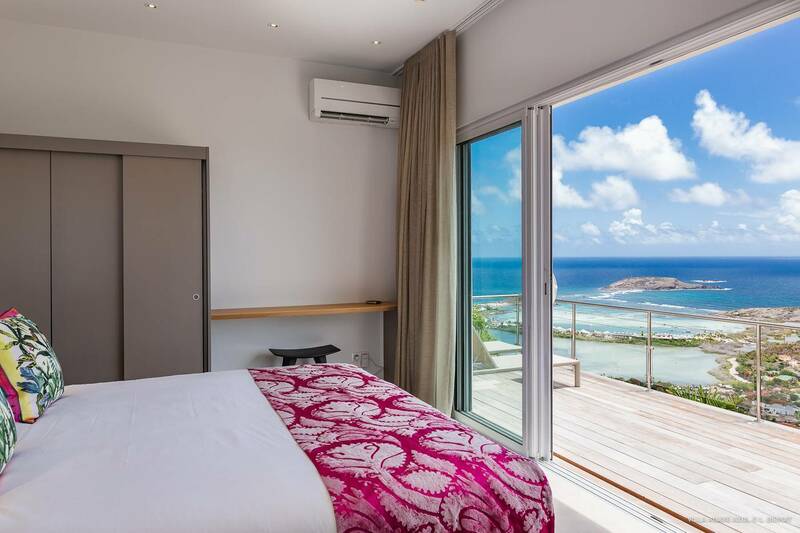 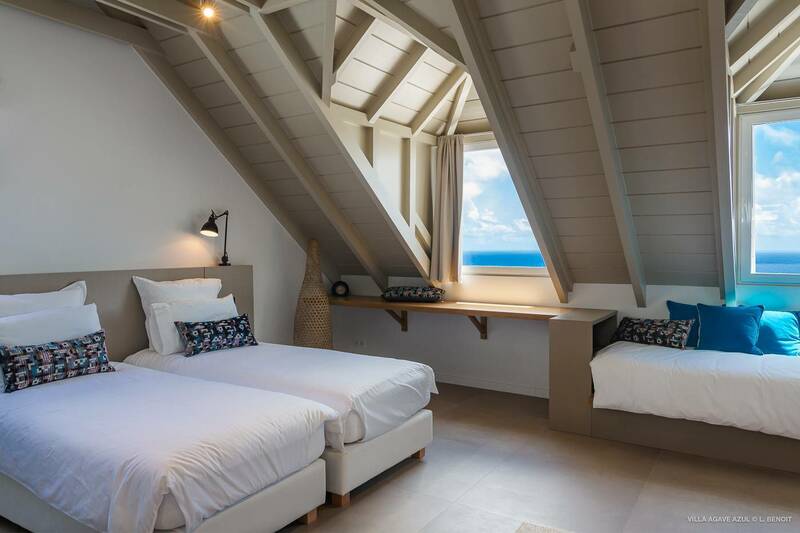 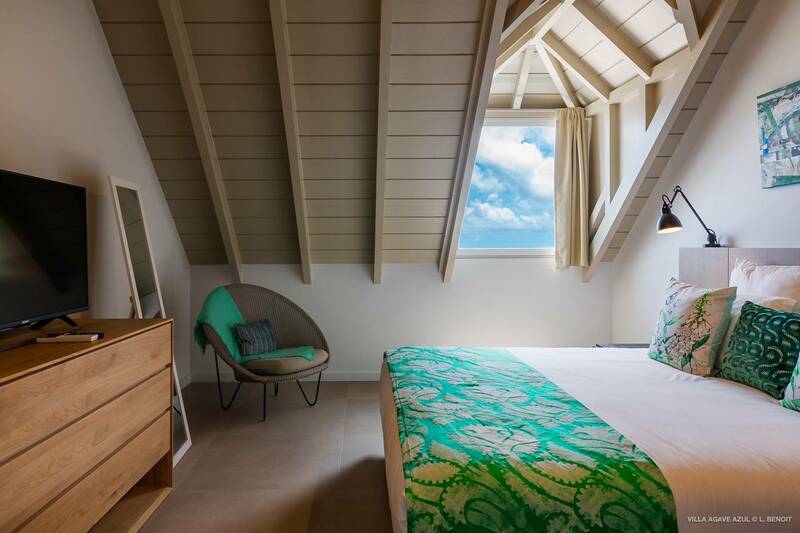 Both rooms have windows that look out to the sea. 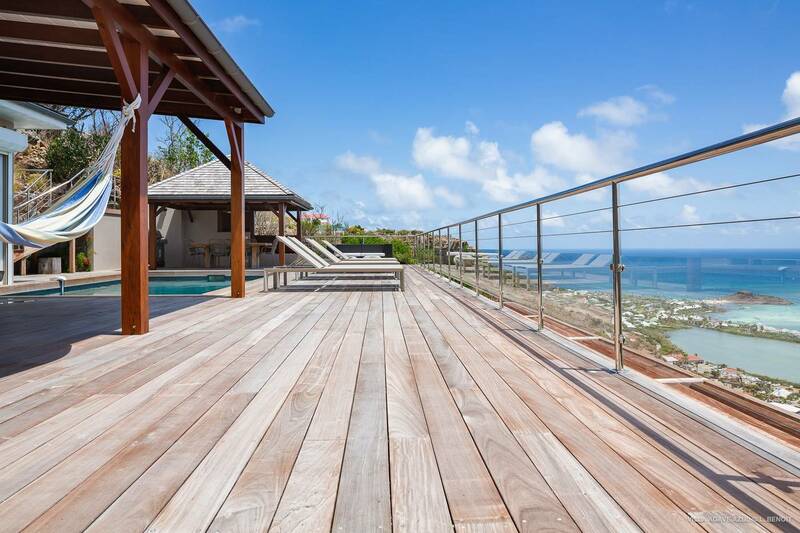 The sprawling deck with its pool, outdoor living space and a view of Grand Cul de Sac. 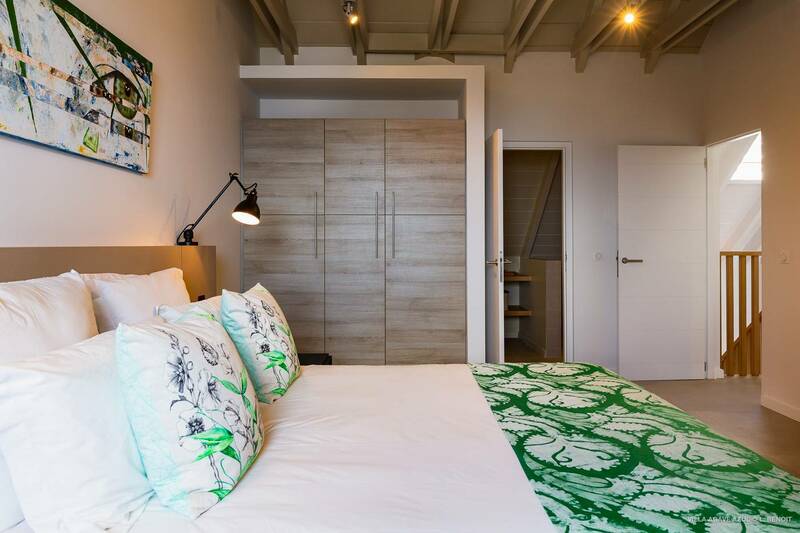 A comfy living room; sleeping accommodations include 2 masters and a twin-bedded room, all with baths en suite.